Our behaviour is determined by psychological patterns. Becoming aware of them and mastering them is key to becoming a successful trader and investor. Our behaviour is determined by psychological patterns. These patterns are the result of our personal experiences, upbringing and sociocultural environment. They develop to guide our thinking and decision making in order to successfully tackle the challenges we face. Trading however, is a very different business compared to any other endeavor, and therefore our patterns that account for our success in other areas of our life, fail us miserably, if we let them control us when trading the markets. In order to become successful as traders, you need to find and replace these patterns. By taking this course, you will learn techniques that will help you identify, disable and replace these patterns, also called psychological traps, with better ones, that are more productive for your trading. Why is trading psychology so important? Trading is just as much about psychology as it is about interpreting the markets correctly. 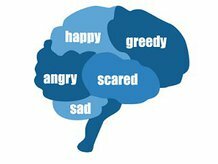 Of course if you don't have a successful trading strategy, a great psychological mindset won't help you at all, but countless traders who have mastered the basics of trading and have defined their strategy end up failing because they become victims of their own psychological patterns. Take this course to take the first right step in the direction of mastering your trading psychology and obtaining more stable profits.